A new datamining leak perhaps reveals that Nintendo is gearing up to release not one, but two new classic consoles. As we reported on earlier today, a dataminer recently plunged into the files of the Nintendo Switch Online, and in the process, unearthed some pretty interesting things. As you will know, right now if you're subscribed to Nintendo Switch's online service, you get access to a range of emulated NES games on-the-house. And right now, it's only NES games. However, that may soon be changing. New files have been added, and consequently discovered, that provide pretty damning evidence that SNES games are coming to the service in the future. You can read more about this story by clicking here. But now here is where things get even more interesting. To couple the aforementioned discovery of SNES games, another dataminer found evidence that seemingly suggests that either more classic consoles are on the way, or more emulated consoles are coming to the Nintendo Switch's online offering. As you can see, we are potentially looking at two new classic consoles, or just more emulated systems to join the online offering. It can't currently be discerned which is the actual case. Also, it's possible these files could be development leftovers, and not actually mean much. However, the latter seems unlikely. And while we can't know if this is a new leak of classic consoles or more emulated games, we can at least speculate what the systems would be. 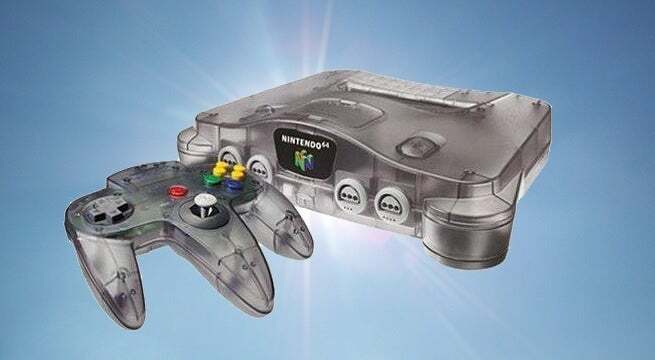 The Nintendo 64 seems the most likely, given it's the next home console after SNES, and because it has leaked previously. Meanwhile, the second could either be the Game Boy (Game Boy Advance) or the GameCube. If this is an emulation for the Switch's online service, the former is probably more likely. However, if this a leak for new classic console, then the GameCube seems the more likely of the two. Alas, who knows. Whatever the case may be, Nintendo appears to have some surprises in the pipeline.